It is the only example of neoclassical building in town , built on the site of an ancient house of the 14th century passed from the monastery of Sant’Apollinare Nuovo to the Rasponi family who kept it until 1508 and sold it to the Fabbri family and then after others, finally to the Cilla family in 1642. 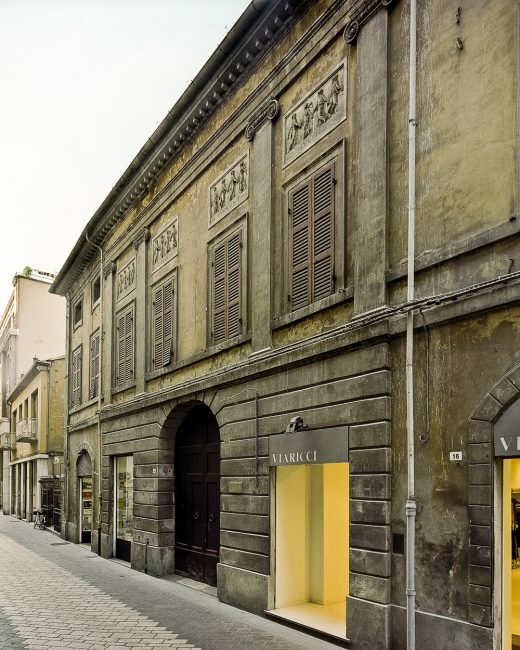 In 1810 the property went to Giuseppe Ghiselli to whom we owe the current look. Afterwards it was bought by Domenico Casadio. The facade presents pilasters with Ionic corbels. 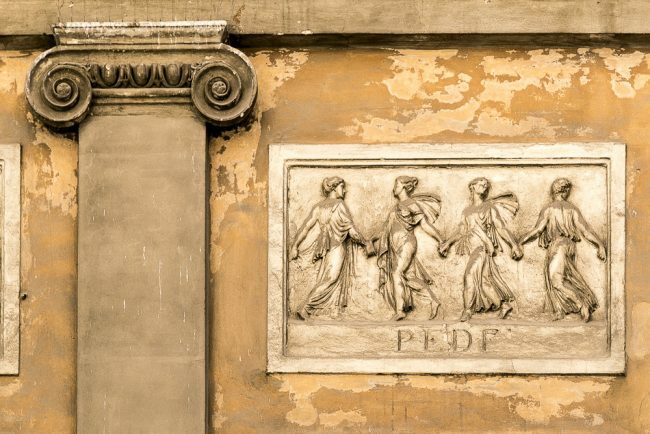 The reliefs placed between the windows of the attic, under the cornice, represent 4 dancing female figures, each above a word of the Latin inscription “tacito pede currunt iugiter” (with silent foot, they run unceasingly).